Through preserving apple trees, we preserve our heritage. Historic apple trees are worth saving. Historic apple trees tell stories of our ancestors. Apples near the house were often prized for fresh eating. Seedlings protected by fence lines may have resulted from a sunny afternoon treat. Orchards of mixed varieties held the promise of apple pie, dried apples, and a sparkling glass of cider. You might find five types of apples in the grocery store. However, at the turn of the century there were over 10,000 named apple varieties growing across America. Some of those trees may have held the genes for disease resistance, or tolerance to drought, heat, or cold weather events. Hard cider varieties took the biggest hit as cider consumption fell during and after the prohibition. Many foul-tasting cider apples didn’t survive the axes. 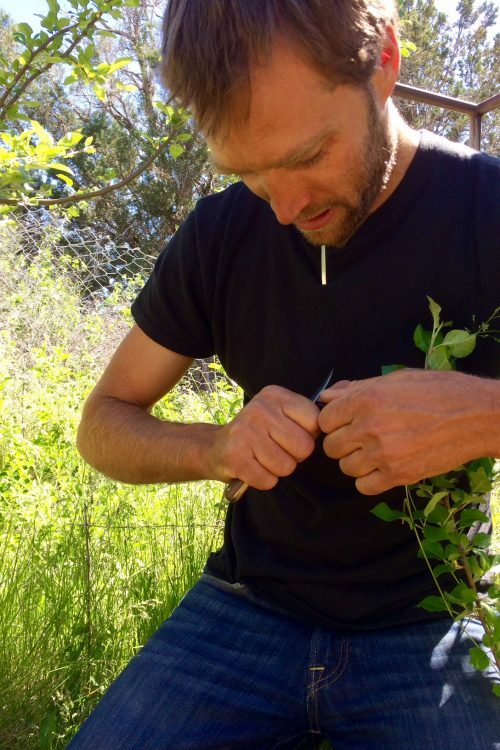 Resurrecting these trees from relic orchards may be the key to a perfect cider. Our passion’s are apples and pushing the boundaries of cider-making. By preserving unique apple varieties, we can find and promote a wider apple diversity. And, we can work toward a superior glass of cider. 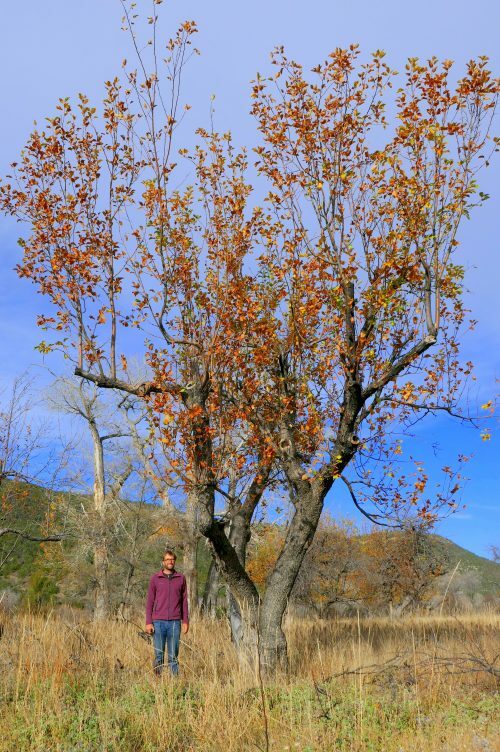 On the Chase Ranch in northwestern New Mexico, a grafted apple tree was planted in an orchard between the farm house and the creek. The tree grew to a massive size, and it’s origins were forgotten. Estimated to be over 140 years old (possibly planted in 1872), this tree has withstood the test of time. Untended, the tree has survived severe droughts and extreme weather. Although a grafted, our genetic testing flagged the tree as an unknown variety. The unusual character, small light green apples, and unparalleled resilience has led us to graft this tree numerous times. 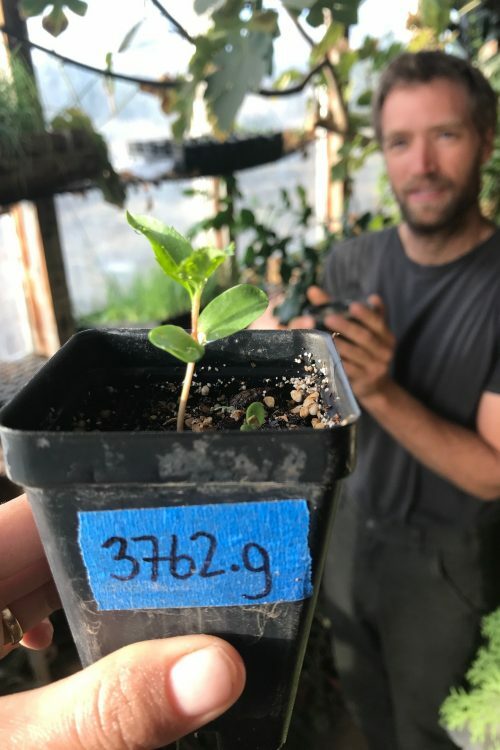 Because of our propagation, this unique Southwestern heritage tree may still be producing in 140 more years. Outside of Prescott, there is a small orchard on Big Bug creek: a relic from the mining boom. 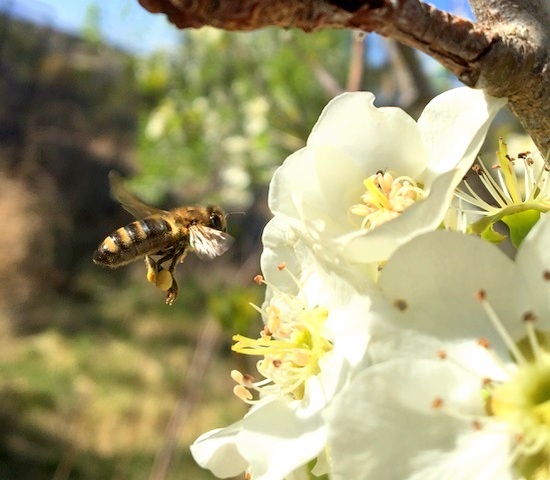 This orchard once held over 200 apple, pear, plum, cherry, quince, and apricot trees. During our graduate research, we conducted a tree ring study that dated this orchard to 1901. Over the last century, this orchard has become a hidden part of the forest, unmanaged and left to the elements. In the spring of 2017 we found one of these ancient trees had fallen over. Although the tree was dead at the base, we were able to collect living scion wood from the outer branches, graft it, and this variety will soon be producing apples outside of Prescott again. Apples originally evolved in the Heavenly (Tian Shan) Mountains of Kazakhstan where wild apple forests still exist. Kazak apple forests hold nearly the full range of the apples’ genetic potential. Dr. Phil Forsline traveled to Kazakhstan twenty years ago to collect and preserve wild apple seeds. Dr. Gayle Volk at the National Center for Genetic Resources Preservation in Fort Collins, Colorado shared seeds from his collections with us to test in the Southwest. We have since germinated and planted over 100 of these apple seeds. 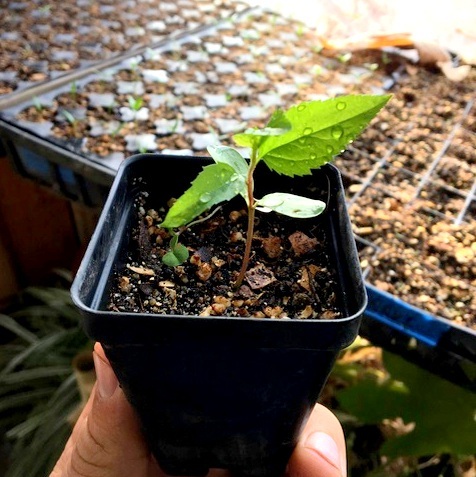 These seedlings have a wide range of diversity including both drought- and cold-hardy genetics. 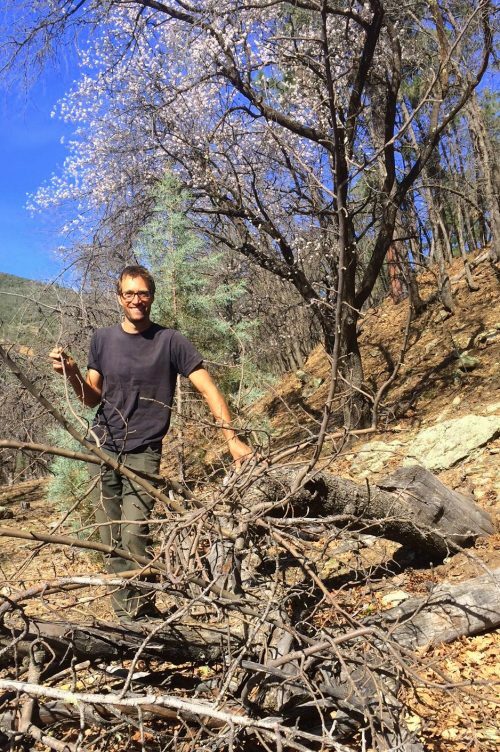 Planting our own wild Kazak forest, we will find trees uniquely suited both to our dry climate and our dry cider. In addition to Southwest heritage apples and seedlings from Kazakhstan, we also have over 200 American, Canadian, English, French, German, Russian, Italian, and Lithuanian apple varieties in our orchards. We are testing these varieties to find apples best suited for the arid Southwestern climate. As we learn more about interesting fruit from around the world, we continue growing our collection. 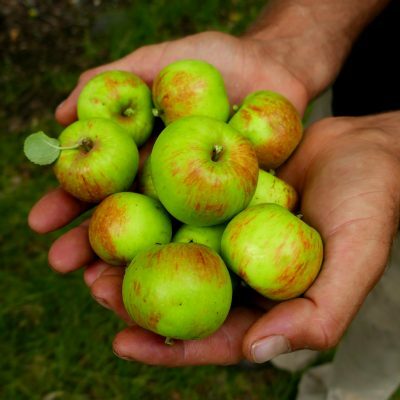 10% of the proceeds from The RAD Project ciders go to further our efforts to preserve apple genetic diversity. 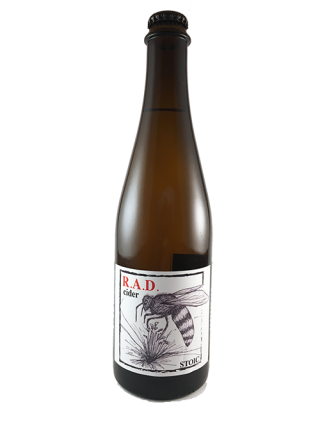 The first RAD Project cider has it all: hand-picked crab apples and heritage fruit, carefully selected wine yeast and beer yeast, a fruit-forward apple aroma, tiny crisp bubbles, a dry and tart finish. We matured this cider for five months to allow for delicate layers of complexity to combine into a superior cider experience. We have less than 100 bottles of this unique blend, and it is only available through our Vinoshipper webpage. Crisp, tart, dry, delightful.